VMworld 2017 Breakout Session Proposal Accepted! I am VERY happy to announce that my application for a VMworld session at VMworld in Barcelona 2017 has been accepted. I will be sharing this session with my excellent coworker Karsten Drejer. 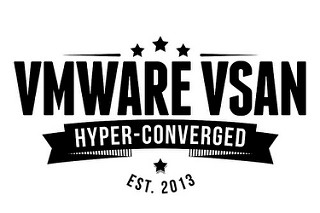 I can’t wait to tell you all about our finding and the awesome performance that we are seeing on VMware vSAN. I will be comparing these benchmark numbers to traditional storage types from known vendors. WARNING: My session is very technical, so please be ware. I will however also have some graphs with pretty colors, so if you are not completely down with IOPS, Read Write latency, bits and bytes, come anyway. I will try hard explain my findings. Also Karsten will give some general knowledge about vSAN in the first part of the session. VMworld 2017 in Barcelona is running from the 11-14th of September. Update: Our sessions is scheduled at the 13th of September in Hall 8, Room 17.